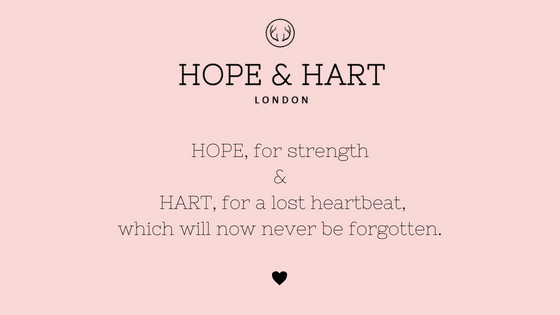 The Ectopic Pregnancy Trust - Why Hope & Hart is raising money for them! 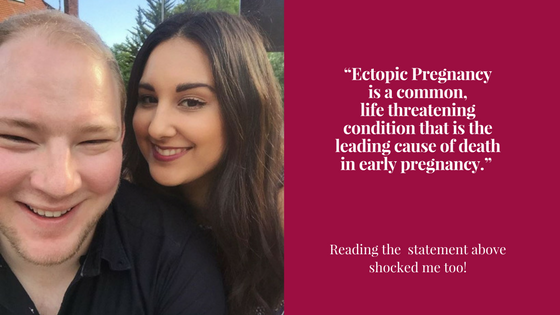 The Ectopic Pregnancy Trust – Why Hope & Hart is raising money for them! Finding out I had an ectopic pregnancy was life changing for me. Thursday 11th January started out as a normal day, little did I know it was a day that was going to change my life. It was the day I found out I was pregnant. I didn’t get that feeling of joy people talk about. As soon as I found out I knew something was very wrong, for weeks I had felt a constant pain on one side of my stomach and a sharp pain in my shoulder when I was holding a bag or lying down which I’d never had before, and I couldn’t explain why.Not to long after we found out I did what most people would do and Googled. I was searching for reasons why I was in pain and what it meant and was it “normal”? After a few clicks I came across The Ectopic Pregnancy Trust, reading the symptoms in back and white, was like ticking off a shopping list. I appeared to have most things on it. A few days later it was confirmed the pregnancy was Ectopic and we weren’t going to be able to continue with it. 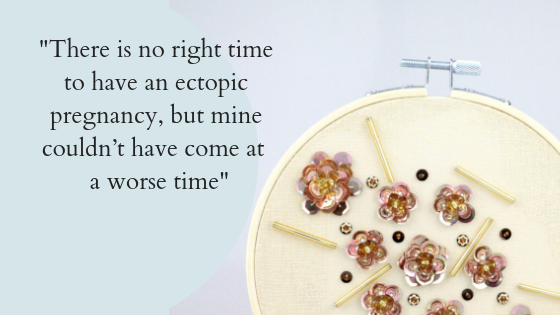 There is no right time to have an ectopic pregnancy, but mine couldn’t have come at a worse time, we lost the baby over my 30th Birthday and a week later, a very close family member had a baby. It was a series of very unfortunate events that was made worse by my treatment being dragged over nearly 3 months with a minor complication. There was just no space in my head to run the business, so I made the decision to take a break and come back when I was ready. I must admit I don’t remember too much of what has happened over the last few months, the emotional and physically draining rollercoaster we found ourselves trapped on was unbearable at times and it’s a time I’ve worked hard to deal with and move on from in my own way. 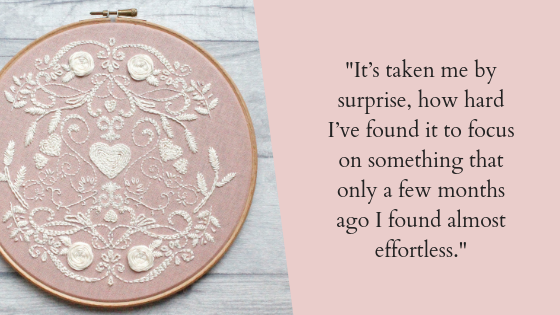 So nearly 6 weeks after I got the all clear I’m slowly getting back into working on the business, it’s taken me by surprise how hard I’ve found it to focus on something that only a few months ago I found almost effortless. Everything seems somewhat different now and not as familiar as it once was. After googling multiple times how to run a business/ be self employed and cope with a loss/ losing a baby I realised I was on my own with this one. I couldn’t find a single blog post or article on this subject, so I’ve decided to make my own as I’m 100% sure I’m not the only one who has had to deal with a trauma and tried seeking advice on the subject. This statement shocked me the most “Ectopic Pregnancy is a common, life threatening condition that is the leading cause of death in early pregnancy.” After reading this I’ve decided to raise money for The Ectopic Pregnancy Trust charity they helped us in ways I couldn’t imagine. 10% from every sale made through the website will be donated directly to them. The Ectopic Pregnancy Trust truly couldn’t have been more helpful, from phone calls to emails or just the vast amount of information readily available on their website. It somehow made everything more bearable and easier to digest being able to read the information I needed at any time. I would often forget that although I was the one going through it physically, James was going through it too and they have advice for partners and family/friends. Thank you for reading my story and I hope you will join me raising as much as we can for such an amazing charity. We are excited to announce, as of 8th August Hope & Hart will not only continue to donate to the Ectopic Pregnancy Trust but we will also be donating to other UK baby loss charity too. Jenni has been so overwhelmed with the support she has received since this post from women who to have sadly have experienced baby loss and she feels it’s the right time to start looking at other charities in need too. This entry was posted in All Posts, Lifestyle and tagged baby loss, ectopic pregnancy, ectopic pregnancy trust, fundraising. Hope and Hart saying Hello, Why we chose our new name?